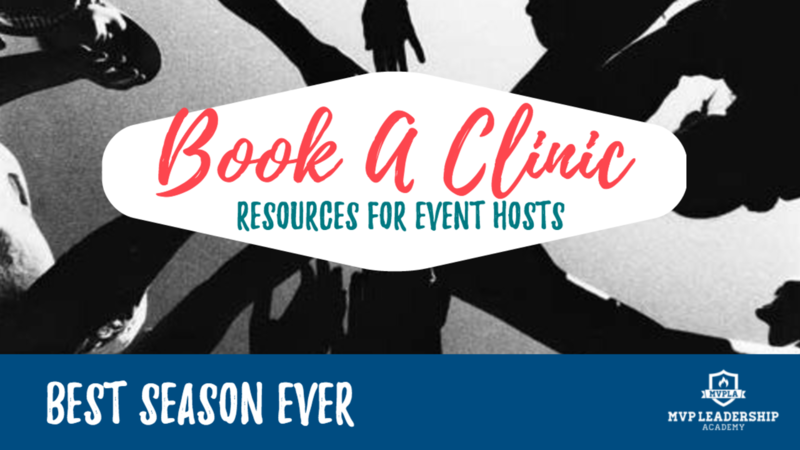 Use this portal for your "Best Season Ever" event deposit. Once you have a date confirmed with the MVP Event Team you are all set to place your deposit and save your date! Your refundable deposit will be returned to you after your clinic, so long as the minimum 20 athletes attend the event.